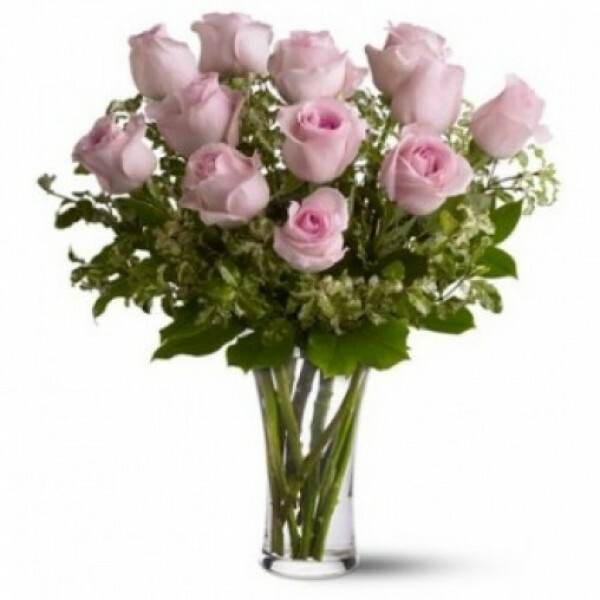 Symbolizing gentleness and elegance, these 12 pink roses, punctuated with fresh greenery and fillers, celebrate beauty and innocence. Send them to someone young at heart.All in shades of pink, these are delivered fresh to your loved ones. This makes for a beautiful birthday gift, or a stunning center-piece for a pink-themed party.